Closet storage solutions are available in a range of colours, finishes, and layouts. The most important factor to understand is that they can be customized to make storing items easier by supportive the way that you use your wardrobe closets. From needing more space for shoes to creating a closet that utilizes every inch of space, custom wardrobe closets can be life changing! When many people think of custom closets, they often assume that only walk in closets would benefit from the investing in a specific design or layout that allows for better storage. In reality, reach in closets can be completely transformed by adding custom storage, making them more functional than they were before. How much hanging space is needed? Is longer hanging space needed for dresses or coats? What would be stored in drawers and where does it make sense to install those drawers? How much shelving would be ideal? What options are on your closet wish list – a hidden jewellery drawer? A built in space for laundry? Once you have a better idea of what features will help you get organized, you can start to work with an experienced custom closet provider to design the perfect layout and design for your specifications and needs. While master bedroom closets are usually a priority, kids rooms can benefit from an organized and efficient closet space, too. In addition, keep in mind that functional closets are not limited to just organizing your clothes. Adding custom closet storage to the closets in your home can increase its value, but only if the design and installation are done properly. When choosing a custom storage company for your home, ensure that you have a good understanding of the quality of the materials they use, as well as their level of craftsmanship. 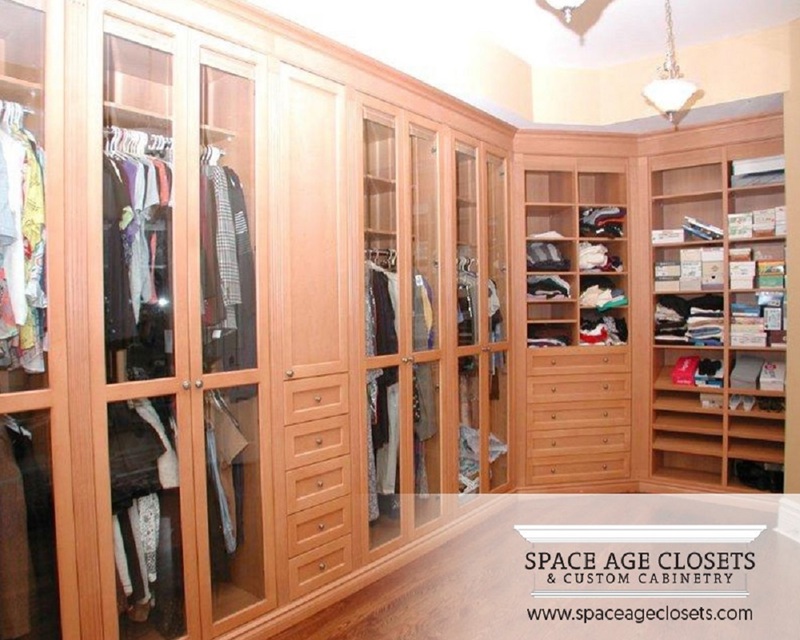 With over 30 years of experience designing and installing custom closets, Space Age Closets & Custom Cabinetry is committed to providing excellent service and getting the job done right. Our installation processes focus on quality craftsmanship, and our products are 100% Canadian made. We use only high-end materials to design and built customized storage solutions for your home. Please contact us or call 647-797-9789 to schedule your free in-home consultation.